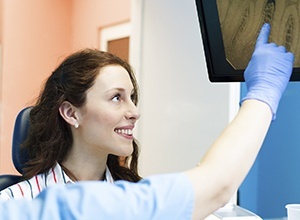 Beyond our general dentistry services, we can also provide a number of specialty treatments so that you can get all of your dental care in one convenient location. We can perform wisdom tooth extractions right in our office or use gentle root canal therapy to repair even the most damaged teeth. 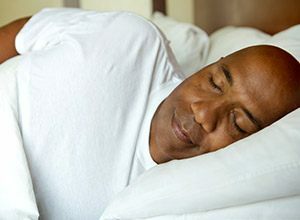 We can even give you sleep apnea treatment using a simple custom-made mouthpiece. Also, if you’re one of the millions of people who are nervous about going to the dentist, we can offer sedation options to help you have the most relaxed and stress-free dental experience possible. To learn more about our advanced services, you can read on below. Once a cavity has reached the most inner layer of a tooth, it begins to directly attack the nerve, and this can cause extreme discomfort. The nerve can also be damaged due to trauma from an accident. Fortunately, rather than just removing the tooth and replacing it, we can often save it using a root canal. Despite its dubious reputation, modern day root canals are actually a relatively painless procedure that is normally the ANSWER to severe dental pain, not the cause of it! 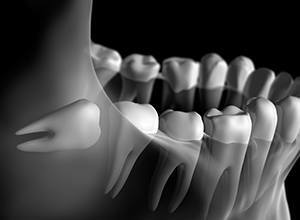 The wisdom teeth are the third set of molars that typically start to come in around the late teens/early twenties. Most often, people do not have enough room in their mouth to accommodate these teeth, and this can lead to a variety of problems such as crowding, impaction, and even infection. Over time, a dull ache can turn into blinding pain, and they can even lead to severe tooth loss. However, we can help prevent that by performing complete wisdom teeth extractions right in our Meriden office. In the most extreme dental emergencies, oral surgery may be necessary in which we remove a tooth. We’ll exhaust all other options beforehand, but should it come to this, we’ll be able to handle your extraction with the utmost care. We’ll thoroughly numb the area before we get to work, and thanks to sedation dentistry, we’ll be able to minimize your discomfort as much as possible. Then, we can also help you replace your missing teeth with natural-looking restorations. Are you one of the 20 million Americans who feels tired every day despite getting 7-8 hours of sleep? Does your partner complain about your snoring, or do you wake up in the middle of the night out of breath? If so, you may be suffering from sleep apnea, a very serious condition that can cause a litany of serious, life-threatening health issues. We can help you get the sleep you need with an easy to use, custom-made oral appliance. Have you avoided the dentist for years because of fear? Does just the thought of going make your heart race? If so, you’re not alone; millions of people don’t seek out the dental care they need because of this phobia, and it breaks our hearts. Fortunately, we have techniques that are specifically aimed at helping you mentally relax and not feel any pain. No matter what you need to have a positive visit, we can provide it for you in a judgement-free environment, and you’ll be amazed at how easy going to the dentist can really be. Contact Meriden Dental Group in Meriden, CT, today to schedule an appointment with our dedicated team. We welcome patients of all ages to enjoy our variety of services, including implant dentistry, orthodontics, preventive care, restorative care, and much more.